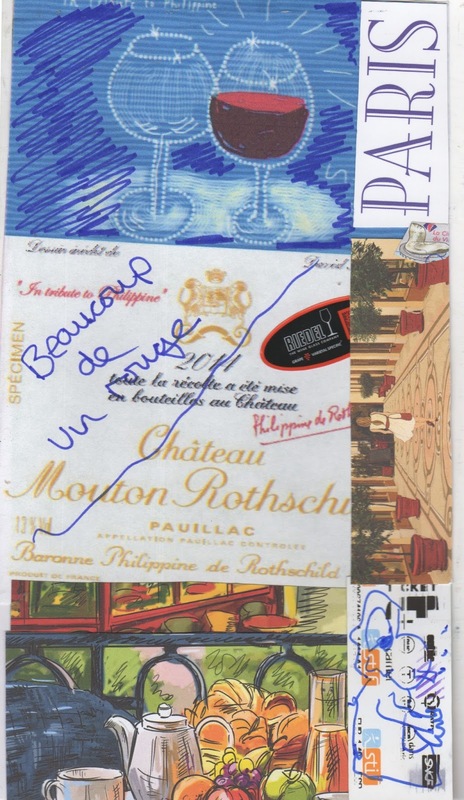 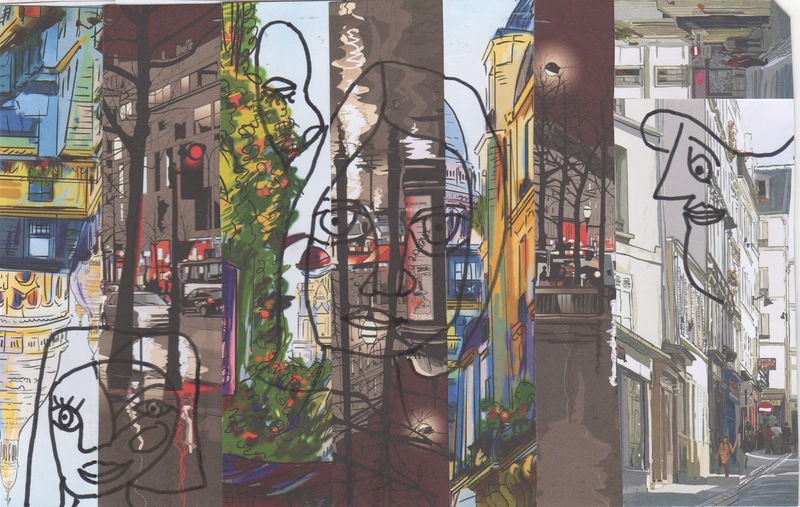 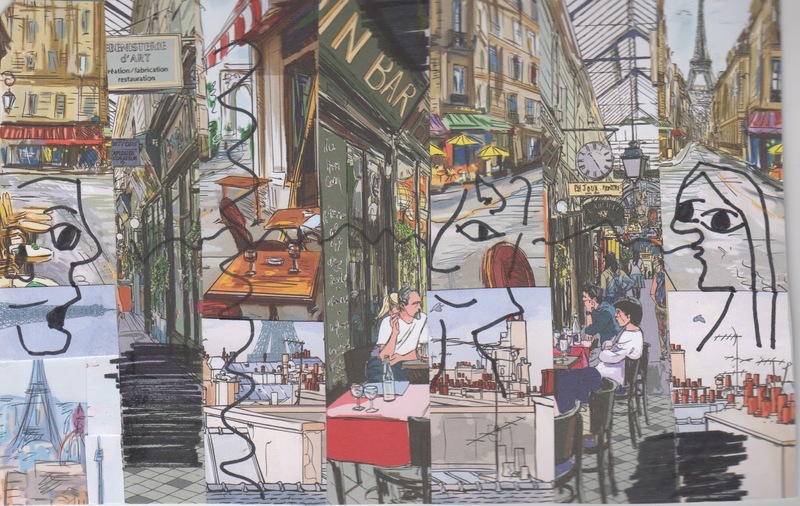 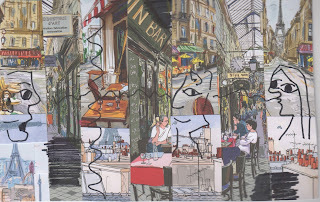 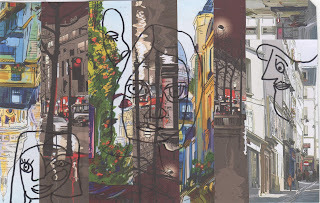 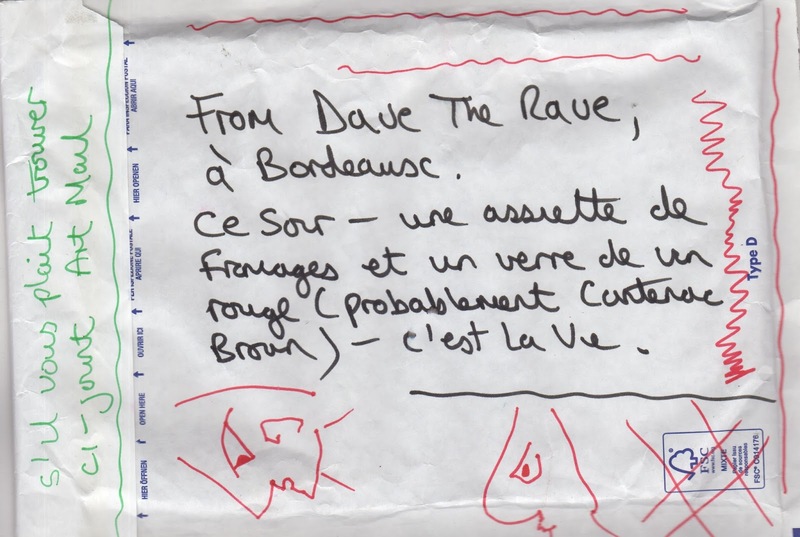 Dave's been doodling (on collaged pages) in Bordeaux (and Paris?) 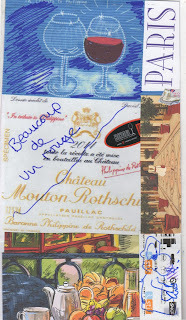 while eating cheese and drinking red wine, creating an intimate glimpse of the good life. 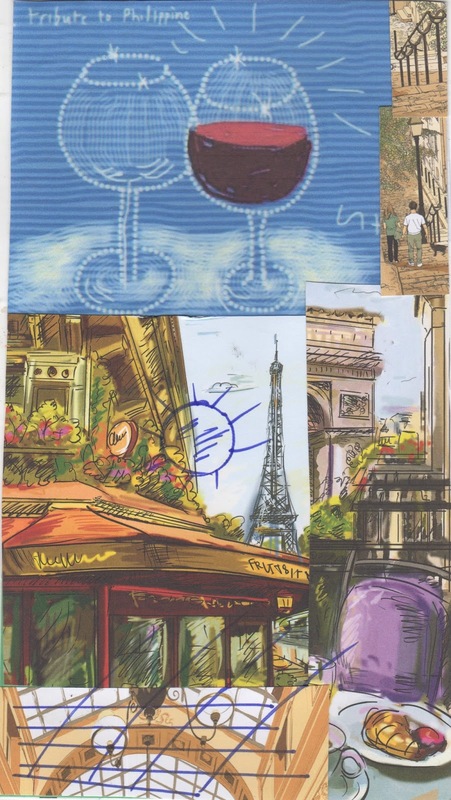 This good life makes me hanker for the mystery of foreign streets, the sun that seems to shine down alleys with tables full of people soaking up the culture and sharing drinks and conversation, a vacation! 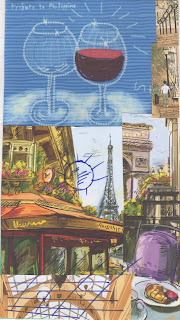 and then again, I almost feel like I was there, so half way there to being part of the cafe set. 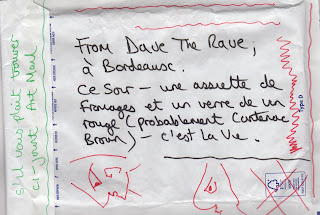 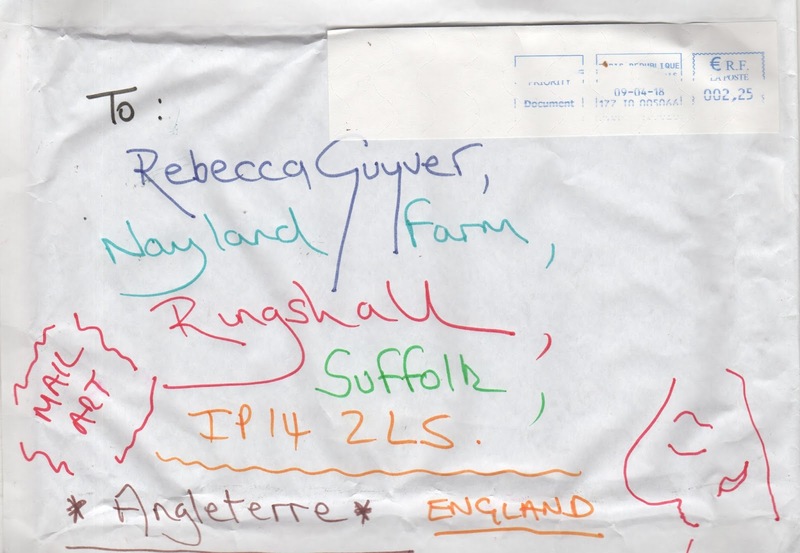 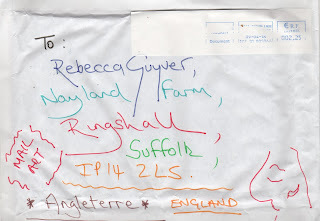 As ever a wonderful missive from DTR!